Getting married should be a wonderful celebration of the love between two people. Whether you go for one of the more traditional or the more unusual wedding venues in Daytona Beach, your day should be filled with smiles, laughter and happy memories. 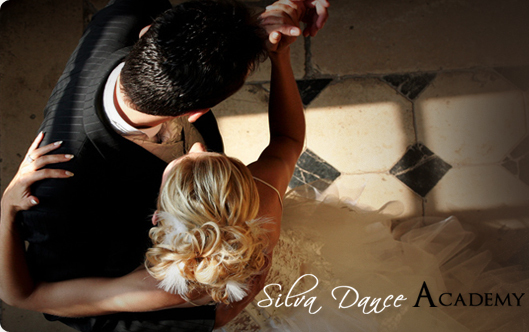 But if the thought of stepping out in front of all your friends and family for the first dance has got you feeling flustered, maybe it’s time to consider some Professional Ballroom Dance Instruction at Silva Dance. For some of you, it’s up there as one of the key moments of your wedding day. Others will probably be dreading it – all eyes focused on you, under the spotlight and it’s probably going to be caught on film. 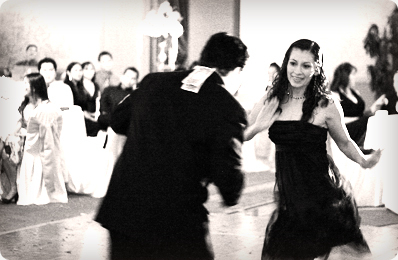 So now is the time to make your first dance an unforgettable moment for you and your guests – for all the right reasons! Of course, you don’t have to have a first dance together – but tradition dictates you should and hey, why not see it as an opportunity to do something new together? Learn a choreographed number together and you’ve got the perfect party piece to break out at any time! Whether it's your wedding or someone from your family, basic dance skills are necessary to enjoy the party fully and that’s when wedding dance lessons in South Daytona Beach will come in handy. 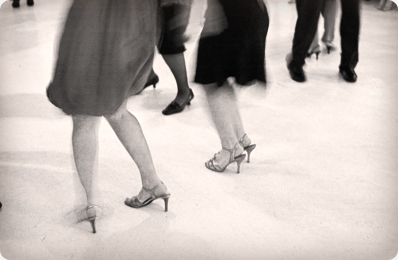 Some basic Slow Dancing plus some Swing/Lindy or Hustle is easy enough to learn to be worth your time. Remember - you only need to learn once and all the parties are yours to have fun. The First Dance is Never Forgotten ! But if you only want to learn a First Dance routine to Your Favorite Song our teachers have great experience to prepare you and your fiancee for this glorious moment. Choose your music and let us do the rest. We can also help you choose the right song. We have plenty in our collection. We will tell you what dance you need to learn and we will put together a dance routine which will impress all your friends and family and most importantly you will have something more to watch on the wedding video every year on the anniversary. Does it take to learn some dancing for the wedding? The more time you give us to teach you the better and more fancy the dance can be. But even if you have only a few weeks we will be able to accommodate you. We are open seven days a week from as early as 10:00am to 11:00pm. 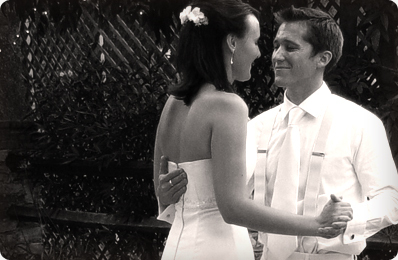 No matter how fancy or how simple your wedding dance routine will be, you do need as much practice time as you can get to feel comfortable dancing your first dance routine. We recommend a minimum of 5 hours to learn few basic steps that will get you moving around the floor. You will be able to learn how to dance around the floor even within 5 hours but it's best if you give it more time to become more natural and comfortable. If you would like to be able to learn more dances and have only couple of weeks left you will need more practice time. At the Silva Dance besides all the dance steps that you will be learning for your first dance we will also teach you how to enter the floor looking natural and confident. You will need to practice your bows and curtsy. Then how to take proper dance position with your partner and how to lead and follow your partner. Private Lessons Or Group Classes? If you have at least few months to your wedding we recommend to begin with some group classes (see our Ballroom Schedule for available classes). This way you can learn basic dance steps of many dances to prepare you to learn faster when you decide to start you private lessons for your first dance. To prepare your unique dance routine to your favorite music you will need to take some private lessons. You should take them as close to the wedding date as possible but remember tostart taking private lessons at least few weeks before the wedding. Consider that you might get very busy during last weeks before the wedding. It's recommended to take your private lessons at least twice a week to memorize the steps. If you have only few weeks you will definitely need to take some private lessons. They will give you more personal attention and you will learn much faster than in group classes. Probably the best way to learn is to do a combination of both Group Classes and Private Lessons and it's always a good idea to practice at home your basic steps. What dances should you learn? Foxtrot - It's the most popular slow dance and it's relatively easy to learn. You can dance Foxtrot steps to almost any slow music. 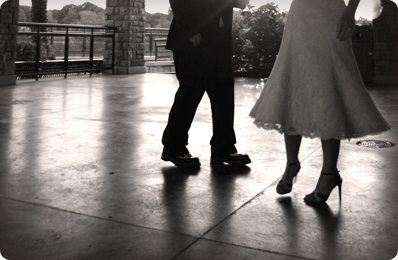 Most slow songs that couples choose for their first dance would be some version of Foxtrot. 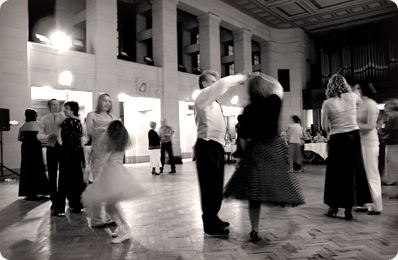 Swing/Lindy - It's one of the most popular fast dances. Especially if you will have a band playing the music you will enjoy it more if you will know some basic Swing steps. Hustle - still the only dance that you can dance with a partnerto any fast pop music. Waltz and Tango - are optional for beginners. You can learn them if you start early enough to do more dances. The good news is that once you learn some basic Foxtrot it doesn't take much to learn basic steps of Waltz and Tango. Those are all Ballroom dances with similar technique. 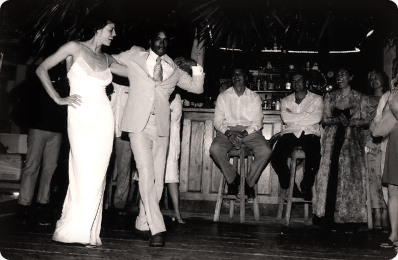 Salsa & Merengue - are the most popular Latin dances. So if you plan to have a Latin band or D.J. playing Latin music at your wedding you should consider spending some time on learning some basics. We have a special newcomer starter course of five private lessons (That is sessions with a one on one with instructor at the time convenient for you (morning, afternoon and evening lessons are available seven days a week). We recommend taking them one or one and a half hours at the time - the choice is yours.
" Give the Gift of Dance"
Gift certificates are available at our school for any amount ofprivate lessons or group classes. It's a good way to encourage specially the ones that think that they have two left feet.